Poll Request: Standalone Titanic Game? After much thought, and a lot of requests recently, I want to know what people think about turning the Titanic Mod into an independent PC game. 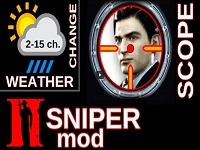 A couple years back I was fixated on the idea that this mod would be a Mafia exclusive project only. However, times are changing and during my fulltime week I've received lots of requests from people to turn this mod into a standalone game. Doing so, with or without the Mafia mod next to it is a big decision to make. Therefore I want to ask everyone who's following this project what they think about the idea. I've opened a poll where everyone can vote. I'd like to have as much people to vote as possible, but I also want to know what some of your thoughts are. 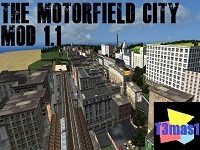 Should I make it my sole project, or should I keep it as a sideproject next to the Mafia mod? If I were to make a game of it, what price range do you prefer and what kind of subject should be the focus? There have been quite a few Titanic games recently. Though only a few such as Honor and Glory managed to maintain a proper quality level. I liked to keep this mod separate from all of those games, but having seen how underdog this project has become, I hoped this mod would have been a bit more known. 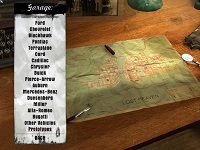 The fact that the creators of Mafia 2 & 3 aren't even aware of this project is a testament of how isolated the community around this project is. 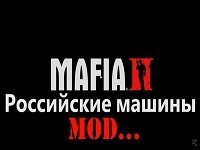 As I highly doubt this project will ever gain further attention from the rest of the world being a Mafia mod only, making it into a standalone game doesn't seem like a bad idea. Besides, on the technical aspect there's a huge advantage as well as I can use a next generation game engine which does not only do a lot more justice for the 3D models in terms of rendering quality, but also offers a much more sophisticated and stable platform to build this project in. The sinking can be dynamically animated, and everyone who doesn't own Mafia can install the game without any compatibility issues. That all, of course, only matters if people are interested in such a thing. So, please let me know what your thoughts are on this subject. Should I develop a standalone Titanic game? Click on the poll below or share your thoughts in the comments. Today has been a special day. Around 4 PM (GMT+1) this afternoon it has been precisely 10 years since I've announced the Titanic mod here on Mafiascene and started working on it from that day on till this very moment. At the time I figured that 3 months would be more than enough time to finish it. Little did I know. Even though it has taken me a decade to work on the mod at this point, I will continue as always until it's done. I want to thank everyone here on Mafiascene who has helped me and supported me during the past ten years. You guys are the reason I love modding Mafia and continue to do so, and I hope you'll all keep enjoying the updates I post. 2016 has been a rather quiet year. I spent some time doing modelling for 3rd parties, had to get settled with my new job and bought a car that had to get some love. All possible because of this very project that got me into 3D in the first place. I'll do my absolute best to work more frequently on the mod as I ain't planning on spending another decade, as much as I'd love to. As some sort of thank you towards all the people who have been following this for a while, I made this compilation video showing the progression throughout the years of development. Thanks again everyone and greetings from the Netherlands! 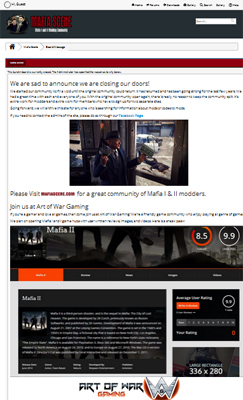 Mafia III - Do NOT pre-order! 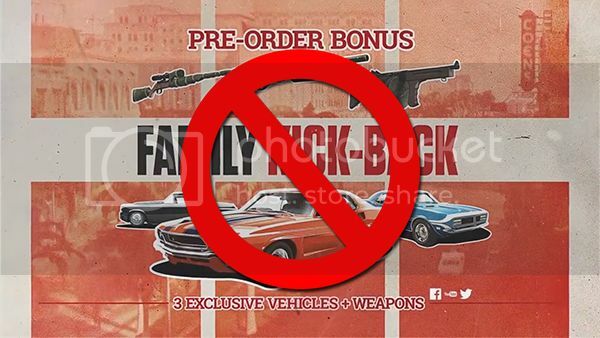 If anyone has watched the latest storyline trailer or other videos from Mafia III, you may have noticed that at the end of these videos there's a banner telling you to pre-purchase the game in order to get the "Family Kick Back" DLC consisting of 3 weapons and 3 cars. As much as it may be tempting, DO. NOT. PRE. ORDER. Remember Mafia 2 when it came out? It had loads of day one DLC packages which all turned out to already be installed in the game but simply required unlocking. It was content you already owned but had to pay extra for. The exact same thing is happening with this as well. Developers have already made content, and decided to cut parts away from the game to sell for an additional profit. "Yeah but Mr Robville, the game is not a cent more expensive than the normal retail price when it comes out, you are retarded man, get a life." If that thought crossed your mind, then kudo's to the developer because that's exactly what they want you to think. You know what's the problem with this? By pre-ordering/purchasing, you are giving the developers money for a product without guarantee that it is of any quality. Once you have that pre-order and the game turns out to be trash, your money is gone. At full price even. Besides, you may think you are making a smart deal, but you are simply paying for the content that should have been in the game to begin with. Developers know people are gullible enough to fall for it. Developers shouldn't be rewarded for cutting down content and selling it as day one DLC. 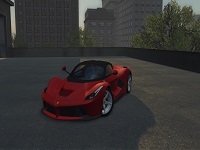 If you have seen the latest Driving in New Bordeaux video, you can already notice that this game is anywhere but close to the original vision of the Mafia games. They've ditched the realistic focus that the previous 2 games were known for that every Mafia fan loves about the series and decided to go for a casual Michael Bay/ Call of Duty-esque Hollywood shooter. No one can stop you from pre-ordering, but if you do and the game is a let down, you deserve everything you get. "So what should I do then Mr Robville?" Wait. Simply wait. It's just 1 or 2 days before the first honest unpaid and unbiased reviews come out (so avoid IGN like the damn plague). If the game turns out bad, you have saved yourself some money. It will then only be a matter of weeks until you can find it in the budget corner. If the game turns out good, buy it then. The DLC is probably disk locked content anyways like they've done with Mafia 2 because that would be a lot easier for the developer to distribute, I can tell from experience having worked for a company that published on Steam. So it's only a matter of a few days before the first modders unlock this content without you having to buy it. And even if it isn't disk locked content, practices like this shouldn't be rewarded to the developers so I would recommend getting it from places that doesn't involve your wallet. Day one DLC is a disease in the gaming industry that's putting greed before gamers. Us gamers, especially as Mafia fans, shouldn't stand for this nonsense. Still on the fence on whether or not to pre-order? I would recommend watching the next bit in This Video. Let's stand against corporate greed folks! 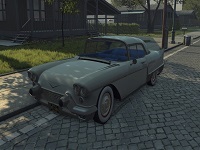 Breakthrough in Mafia 2 modding! Took a while before I could write this as it should have been posted sooner, anyways! 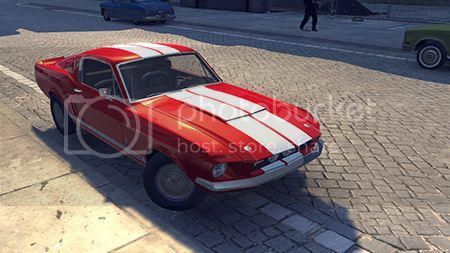 A Russan modder has achieved what we have been waiting for a long time ever since the release of Mafia 2; he cracked the code allowing custom models to be placed into the game! And not just static collision-less eye candy, no, real working vehicles as well! 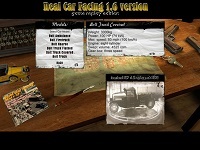 Check out our downloads page for the first downloadable cars for Mafia 2! I completely forgot to post this when it came out, it puts a few worries to rest namely the way cars drive and explode. I must say the world itself looks very well made. I apologize for making you watch an IGN video, but hey at least it isn't Kotaku! 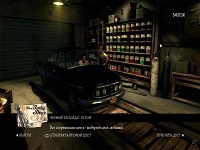 Latest Concept art for Mafia III released. The trailer is here folks! The game will put the player in the shoes of Lincoln Clay who hopefully gives us a different view on the world of the Mafia outside of the Italian families. Also in the trailer you see a familliar -yet aged- face of Vito Scaletta, our protagonist from Mafia 2. It will be interesting to see how his story has evolved from M2 as well. 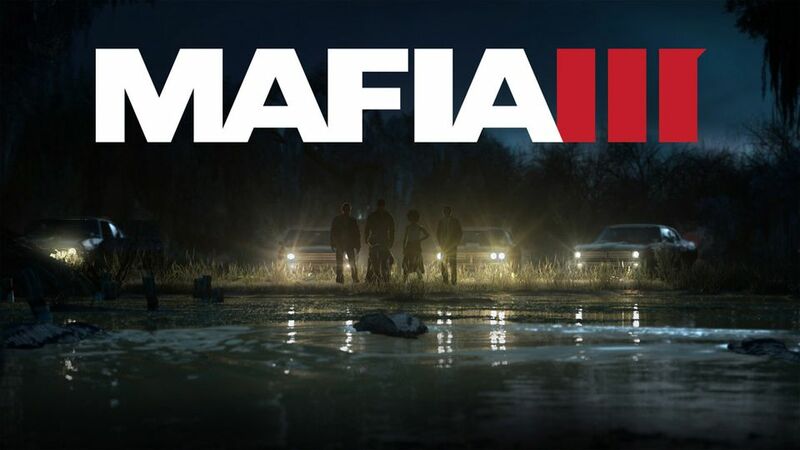 We already had our hopes up after seeing 2K registered a couple domain names mentioning Mafia 3, but now it's finally confirmed: Mafia III will be made. The artwork shows what looks like a 70's setting with four main characters including a female character that we haven't seen before in a main cast. More info from 2K games will follow on the 5th of august. Next week! Good news for all Mafia fans! 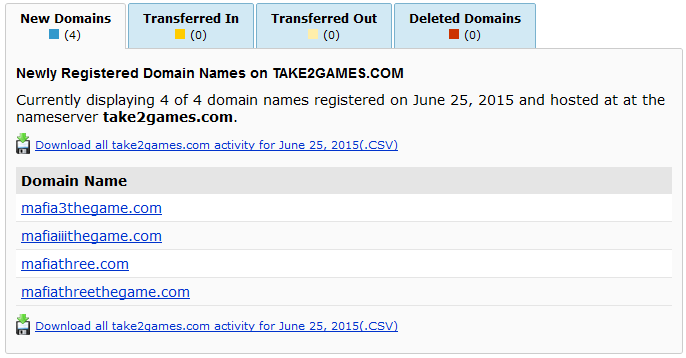 Although it's of course not an official confirmation, I don't think T2 would register these domains because they had nothing better to do. I'm really looking forward to hear about an official announcement. What do you guys think?